ADVANCE SOLICIT Welcome to the Library. It’s here that every story ever written is catalogued and monitored by a single man, who’s begun to notice something strange: the books are rebelling. 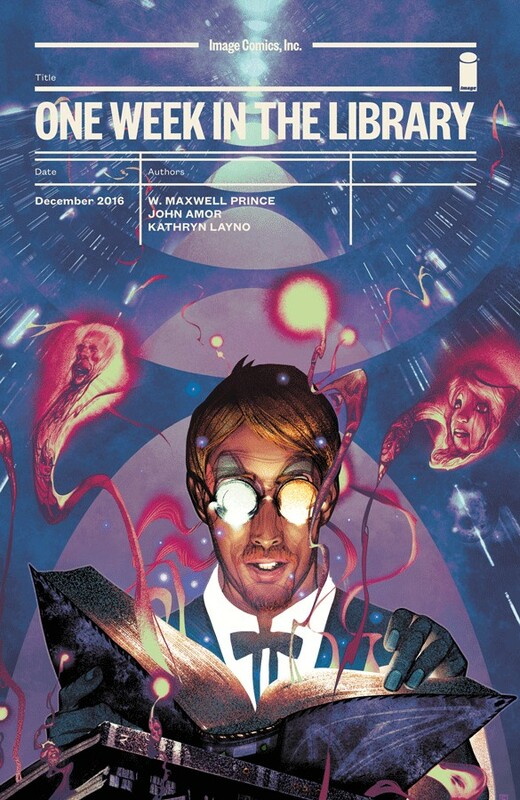 Image Comics proudly presents this experimental graphic novella from writer W. MAXWELL PRINCE and artist JOHN AMOR, which recounts a troublesome week in the Library via seven short stories—one for each day—that use comics, infographics, prose, and poetry to play with the graphic medium and explore the multivalent world of living narrative.